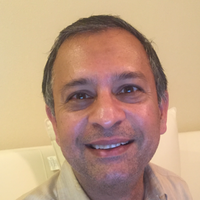 Hello, my name is Dr. Kazi Ahmad and I am on team IMPOWER, a leading telehealth organization in central Florida. I am happy that you have an interest in seeking my help and I look forward to talking with you. I have over 20 years of experience as a physician practicing in a variety of areas psychiatry and general medicine. I have worked in both psychiatric inpatient and outpatient settings primarily with adults. I have provided psychiatric evaluations and medication management both in person and in telehealth settings (online).